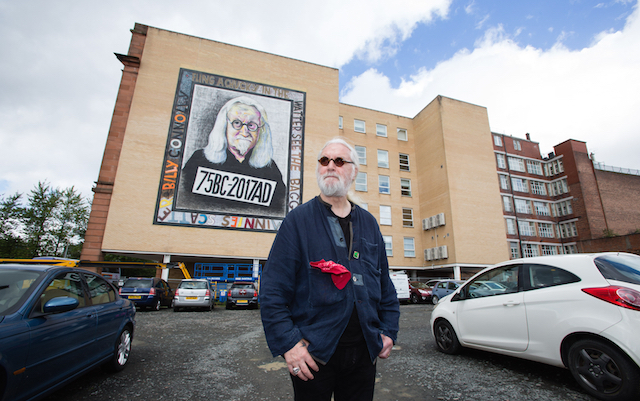 Billy Connolly has said he is “flabbergasted” and “overjoyed” by three giant murals unveiled in his honour in the city of Glasgow, where he was born. 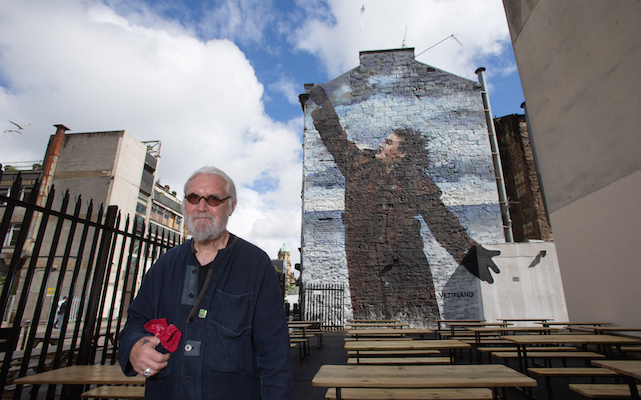 The 50ft portraits, designed by leading Scottish artists – and recreated by street artists – were commissioned to mark the comedian’s 75th birthday. Visiting the murals, he said: “I’m truly amazed at the effect these have had on me. They’ve just completely stunned me. 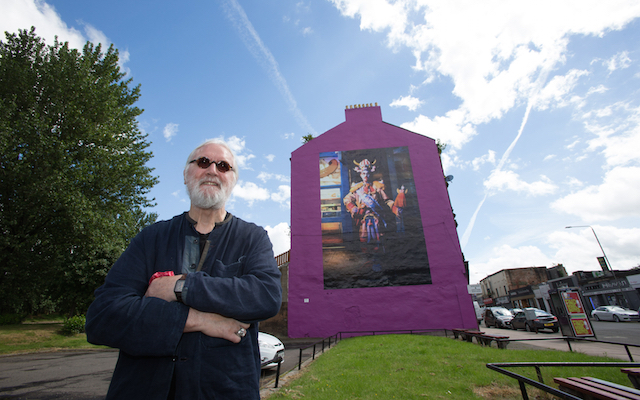 The murals were created from original works by leading Scottish artists John Byrne, Rachel Maclean and Jack Vettrian. Spray-paint artists Rogue-one and the Art Pistol collective recreated the portraits on walls located around the city as part of its official mural trail. “You know, people going to that length for me, it’s just taken my breath away,” Connolly added. 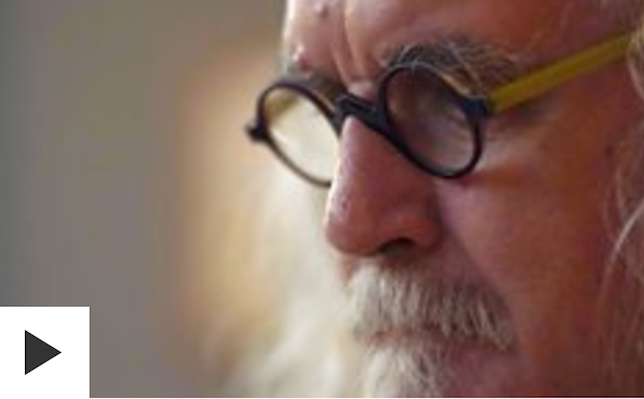 Connolly opened up about his Parkinson’s in a documentary, ‘Billy Connolly & Me: A Celebration’, shown earlier this year on UK television channel, ITV. He told the programme: “The doctor said to me: ‘You realise this isn’t curable?’ and I thought ‘What a rotten thing to say to somebody’. Connolly admitted: “It’s a weird thing because it [Parkinson’s] stopped me playing the banjo and it stopped me smoking cigars. Both Byrne and Vettriano’s portraits were revealed to Connolly at Kelvingrove Art Gallery and Museum, just a mile from where he was brought up in Anderston, Glasgow. Vettriano’s painting is titled ‘Dr Connolly, I presume’, taken from the comedian’s World Tour of Scotland series in 1994 and features a wind-blown Connolly on a storm-lashed coast near John O’Groats, Scotland. 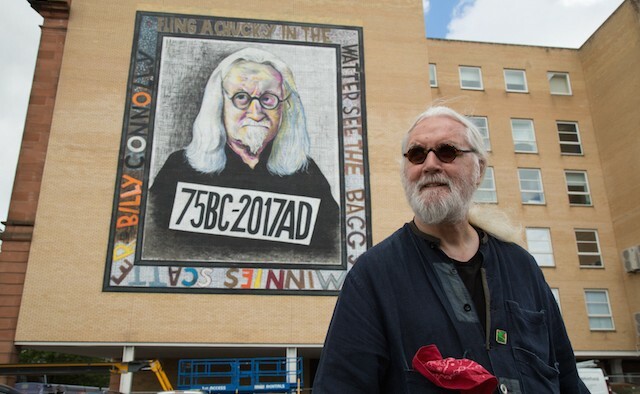 The story of the artworks will be told in the hour-long documentary ‘Billy Connolly: Portrait of a Lifetime’, which will air on BBC One Scotland on 14 June at 9pm – if you’re based in the UK you can also watch anytime on BBC iPlayer. The three original portraits will go on display in Glasgow’s People’s Palace later this month. UPDATE: The documentary will also air on BBC Two in England on 5 August at 9pm. Byrne’s portrait is a hit job. Connolly himself said the expression was contempt and the numbers represent a police mug shot. Connolly said some really terrible things about Scottish nationalism. Byrne was commissioned to design a Christmas card for wee Nicola Sturgeon. Opposites.